Google Play Instant provides a new way for users to consume apps. These apps, called instant apps, are native Android apps, but they run without being installed on the device. Each instant app has a corresponding version that users can choose to install. Because of the unique way that users interact with them, instant apps should observe some specific user experience practices. This guide presents guidelines for how to create a positive user experience in an instant app. 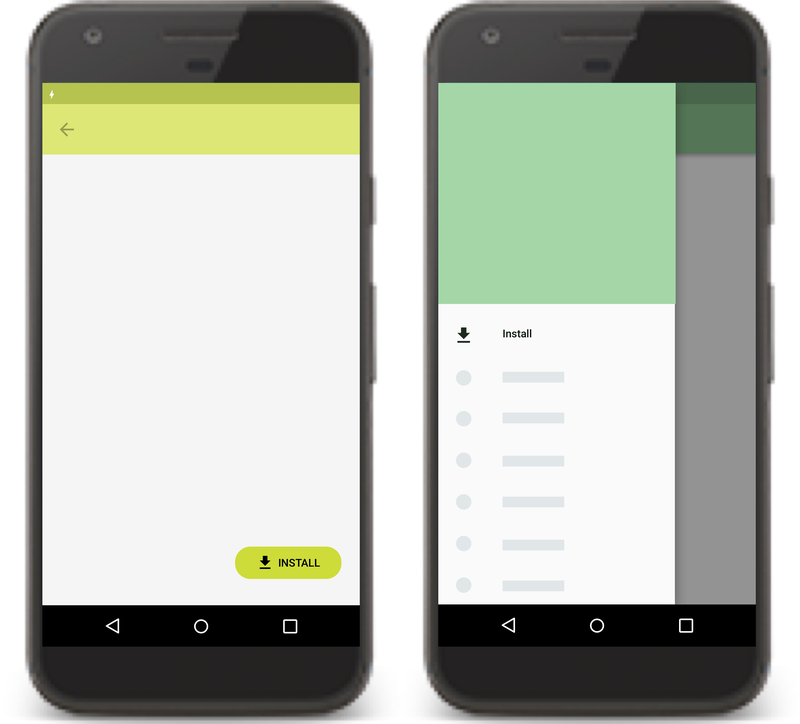 We strongly recommend that you use material design principles when you design your instant app. 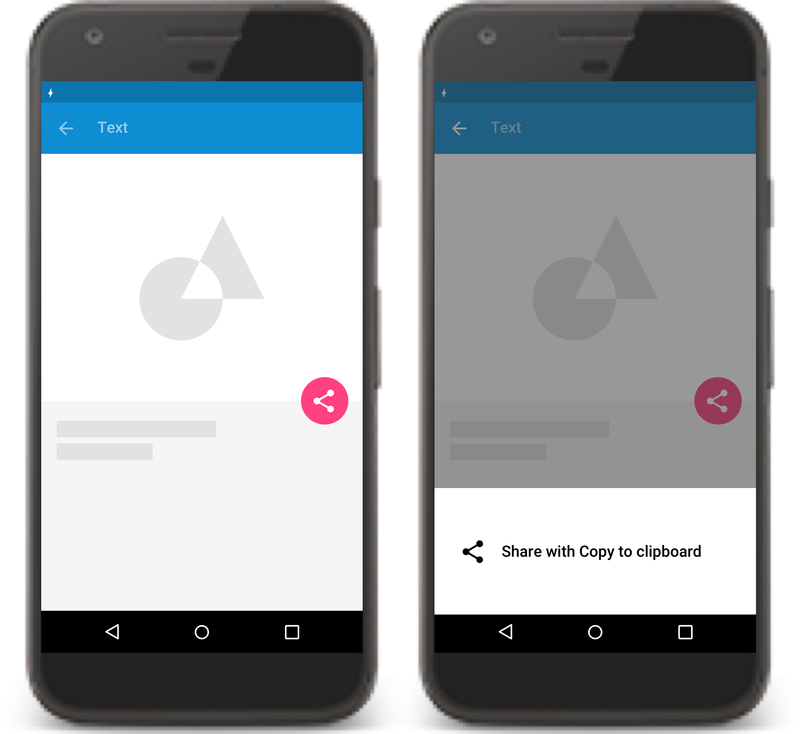 For more information about how to apply material design to an app, see Material Design for Android. We've also provided additional guidelines specific to gaming apps. 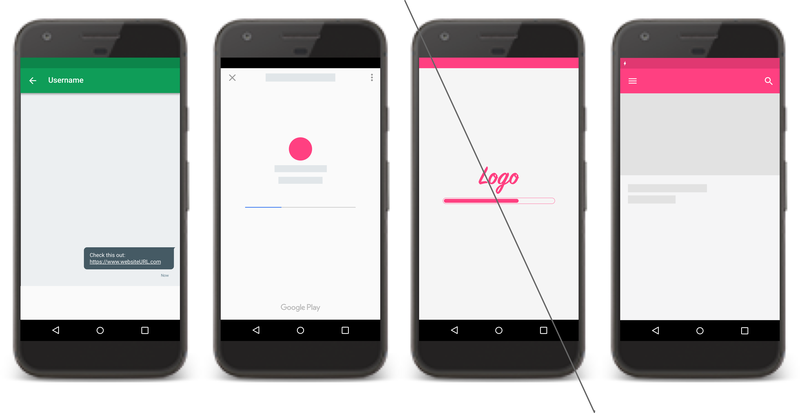 For more information, see the UX best practices for games on Google Play Instant. In order for your app or game to have a Try Now button on the Play Store, or to appear in the Android launcher, it needs a default main activity. 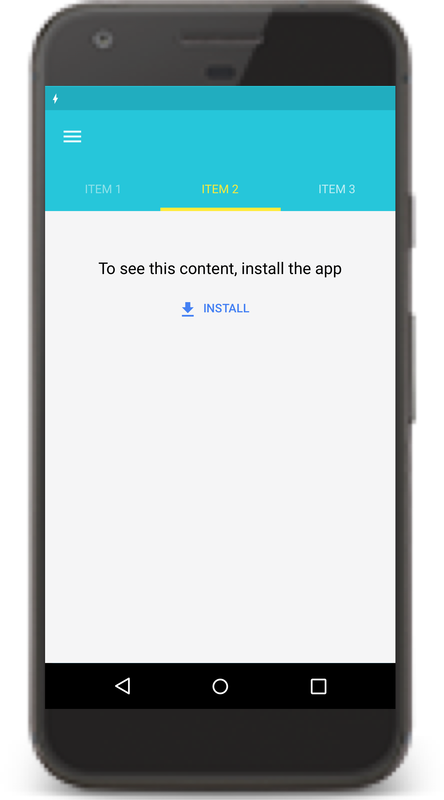 Users who enter your app from the Try Now button or from the launcher don't have the context of a deep link or specific content they're trying to access. Therefore, you should provide a place for them to browse and discover your app's functionality. It's also worth making sure that your app's name is prominently displayed on the screen. Because users sometimes click on a link to your app without much context, they might not know what your app's name is. Links to apps and games on Google Play Instant open immediately when possible. Otherwise, these links fall back to opening in a browser. By Linking to Google Play, you can change the fallback scenario to go to the Play Store instead. This strategy can be useful if you want to direct users to download your app if they cannot open the app right away and you don't want them to use your app on the web. 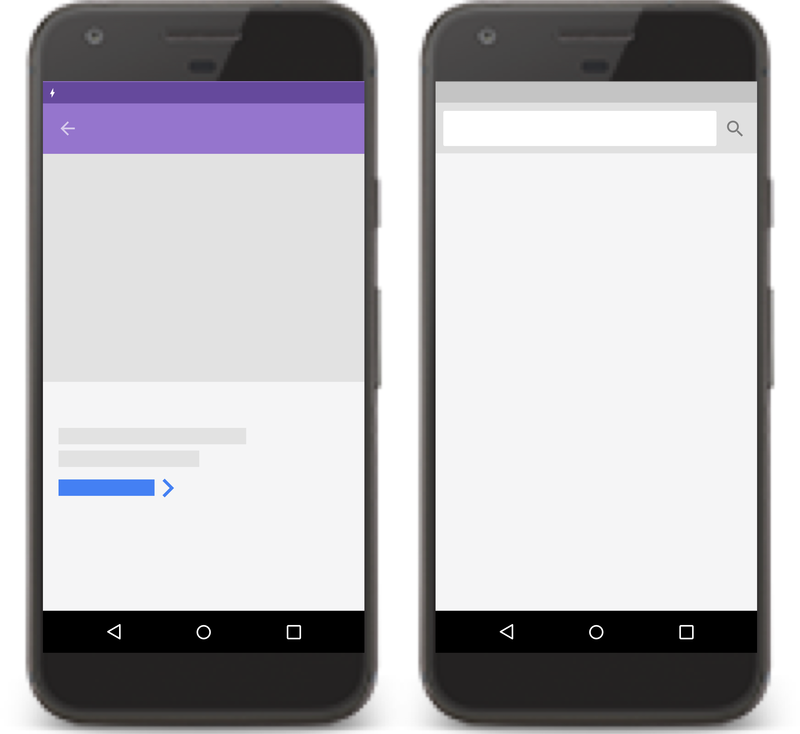 As an alternative strategy, you can use banners on your website to open your app directly instead of having to send users to the Play Store first. This strategy is shown in Figure 2. When advertising a feature to users in your instant app, ensure that users can use the feature without having to install the app. Avoid asking users to install the app so that they can accomplish what they want to do. The main click-through action of a page in the app should never trigger an installation prompt. Figure 3. Allow users to complete a specific task without prompting them to install the app. 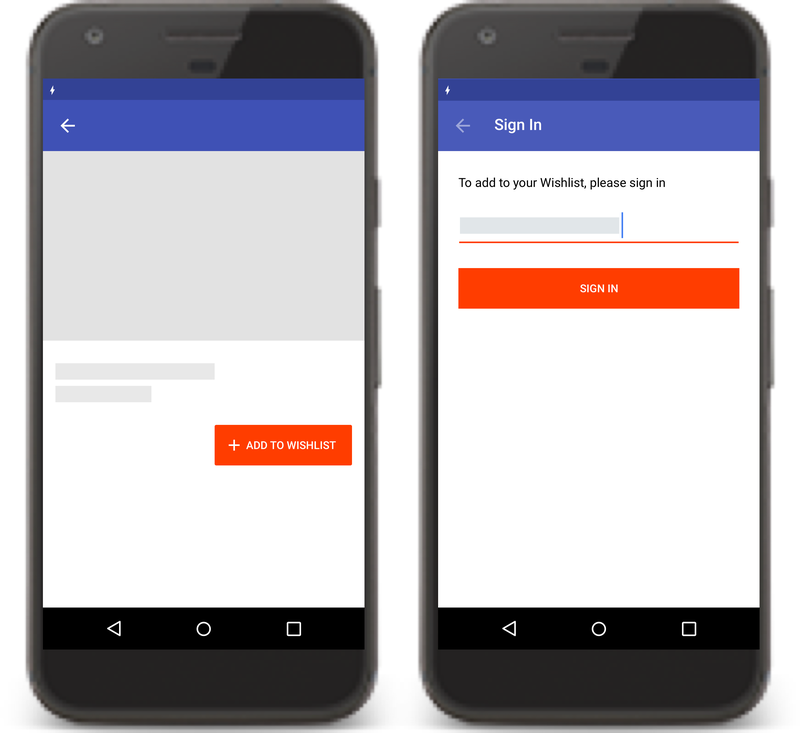 Provide as much functionality as possible without requiring users to sign in or register for a service associated with your app. Wait until users try to use a feature that requires authentication before you prompt them to sign in. Users perceive sign in prompts as less intrusive if they immediately see the benefit for signing in. For example, consider a photo sharing app that requires users to log in when launched. To improve the user experience, the app now provides features users can use without logging in, such as browsing the most popular publicly-shared photos and editing the photos on their devices. When the user wants to share their photos with friends, the app prompts them to sign in. Figure 4. Avoid unnecessary sign-in prompts. When users install the app, make sure that you transfer their stored app state to the app using cookies or local storage. Users should be able to pick up where they left off in your app, as depicted in Figure 5. The instant app launch experience incorporates app branding, app title, and app launcher icon. Don't create additional splash screens of your own, as those seem redundant to users. Figure 6. 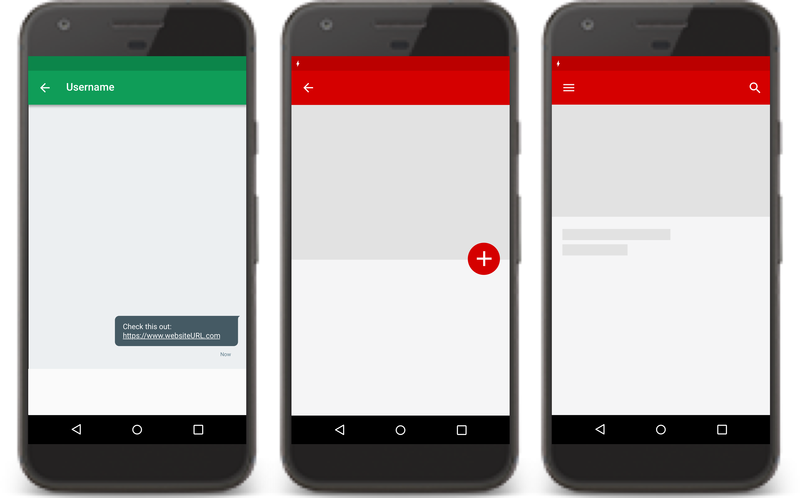 Google Play Instant framework provides a launch experience for your app. The Up button navigates upward in the app's navigation stack until the user reaches the app's home screen. The Back button navigates in reverse chronological order through the history of recently viewed screens. 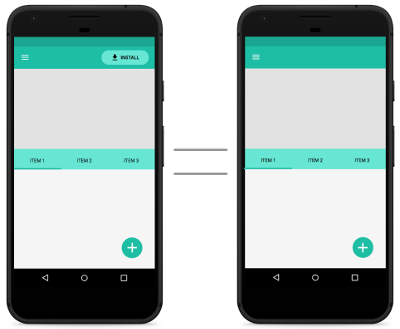 While the Up button ensures the user remains in your app, the Back button may take the users back through recent screens outside of your app. In other words, Pressing the Up button shouldn't ever exit the app. For more information about how to design navigation with the Back and Up buttons, see Designing Back and Up navigation. Figure 7. Navigation is key. The UI of your instant app should be identical to the UI of an installed version. Don't change your design and UI in the instant app. 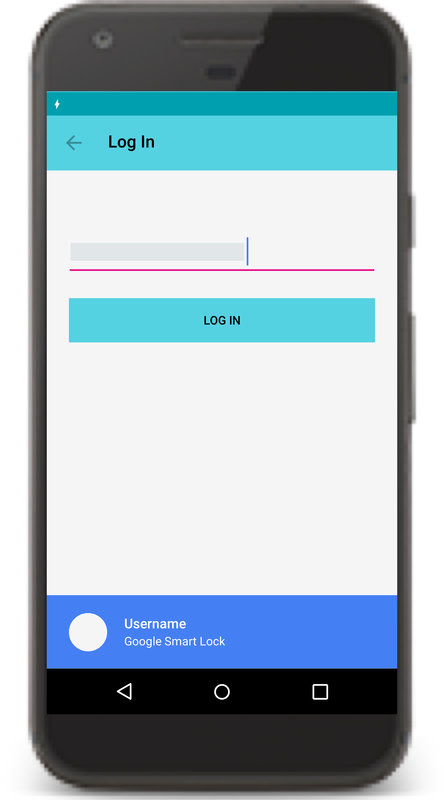 Smart Lock for Passwords on Android is a password manager across Chrome and Android. Smart Lock also automatically signs users in on subsequent visits. To makes authentication easier for users, provide support for Google Smart Lock in your instant app. Figure 9. Use Smart Lock for authentication. Use install buttons strategically by making them part of your app's user interface. 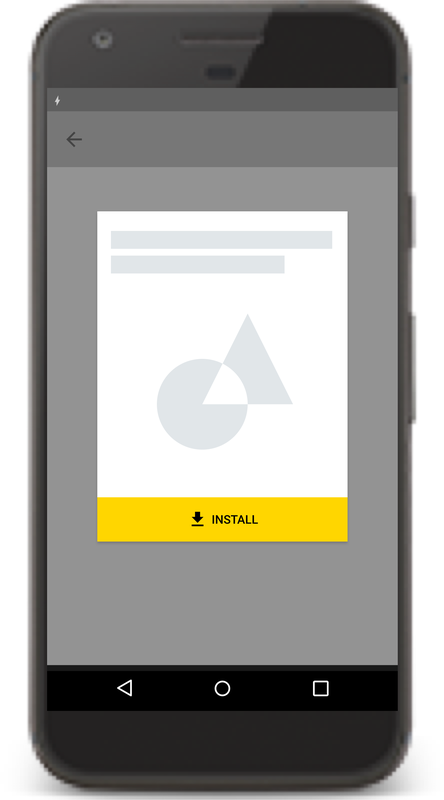 Use the Material Design "get app" icon and the label INSTALL for the installation button. Don't use any other labels like "Get the app," "Install the full app," or "Upgrade." 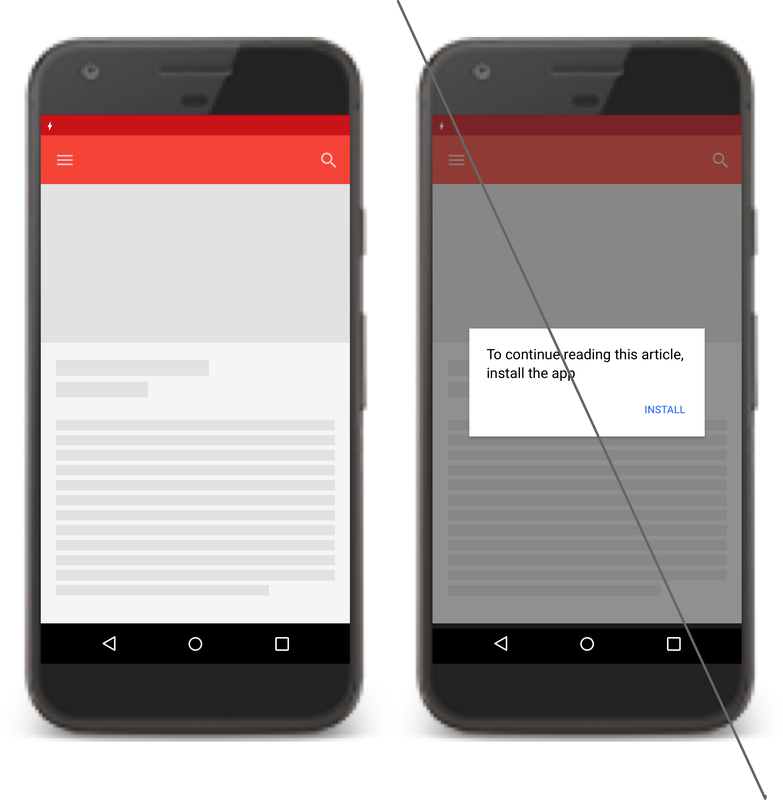 Never use a banner or other ad-like technique for presenting an installation prompt to users. Implicit installation prompts are links in the instant app that don't do anything other than launch an installation prompt. These implicit installation prompts might occur where you have functionality in the installed version of your app that the instant version doesn't have. Don't have more than 2-3 implicit installation prompts in your app. When using an implicit installation prompt, make sure to provide context and information about the feature that triggered it. Give users a reason why they might want to install the app. Note: The main clickthrough action or button on a screen must not raise an implicit installation prompt. Figure 11. Limit the number of implicit installation prompts. When converting your app to an instant app, you may have portions of your instant app's UI that link to other feature modules of your app. Remove any such sections from the instant app. Figure 12. Remove non-functional parts of your app. You must use the Google Pay API for purchases within your instant app if those purchases aren't supported by Google Play Billing and you don't have the user's payment information on file. You must collect any new or replacement payment information for a user using the Google Pay API. If you implement the Google Pay API in your instant app, you can also offer purely offline payments, like cash on delivery, or store gift cards in your instant app. Figure 13. 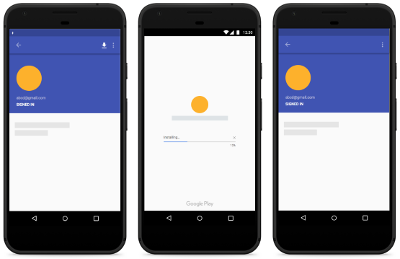 Use the Google Pay API for payments. Links to third-party offerings and content can open in a Chrome custom tab or browser. They can be rendered using a WebView when the requested resources are provided through HTTPS protocol. Your own offerings should not link out to the browser but rather stay within the instant app, using a WebView if necessary. All network traffic from inside the instant app must use HTTPS protocol. Within the instant app, you should clearly define what functionality your app provides and what functionality is provided from an external source. As stated previously, you must handle payments within the instant app using the Google Pay API. Figure 14. Open external links that you don't control in the browser. 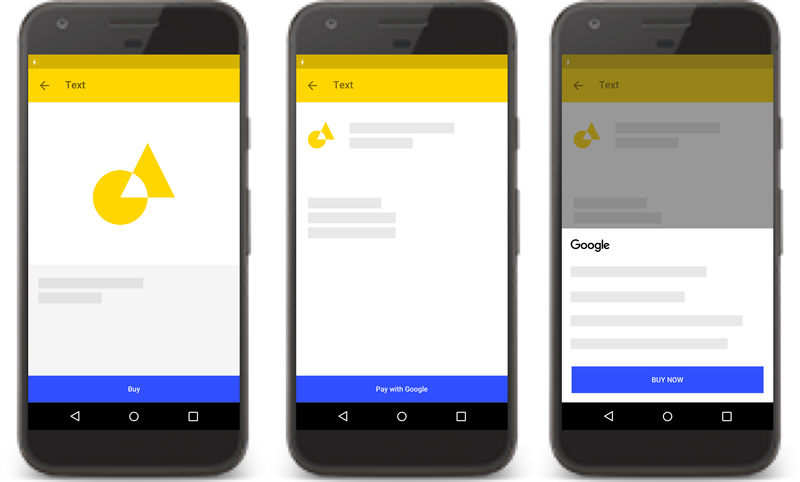 Since instant apps don't provide an address bar for users to copy the URL, provide a "share" action within your app that allows users to share your instant app's URL. Figure 15. Help users share your instant app. For more information about creating high-quality instant experiences, consult the following resources.